Bryan Trottier played 18 seasons for the New York Islanders and Pittsburgh Penguins. He won four Stanley Cups with the Islanders. He holds the NHL record for points in a single period with 6 (4 goals, 2 assists). 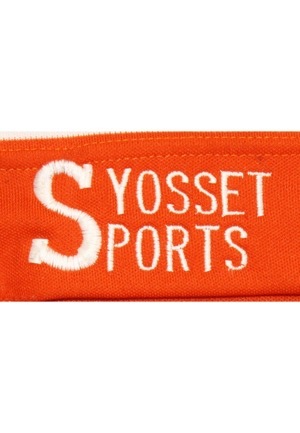 On the rear left tail reads “SYOSSET SPORTS” indicating the manufacturer. Adjacent to the right is a “CCM” logo embroidered. 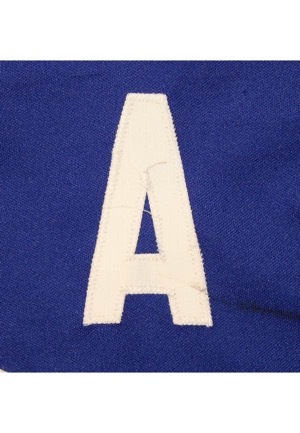 On the upper left chest is the assistant captains “A” logo in white tackle twill. On the front is a large orange, blue and white tackle twill “NY ISLANDERS” logo patch. The player number “19” appears on the back and on both sleeves in white on orange tackle twill. 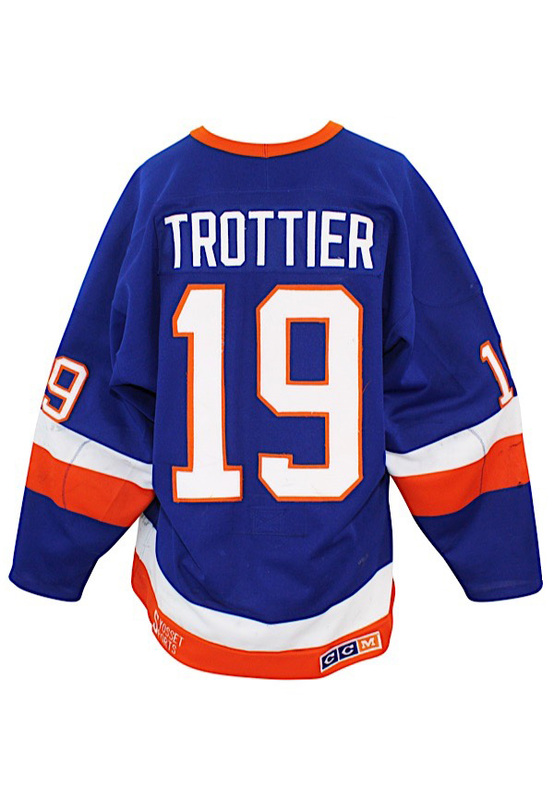 Across the back reads player name “TROTTIER” on a blue mesh nameplate in white tackle twill. The fight strap is intact. There are many board and puck marks and overall great hockey wear. This jersey is properly tagged, was presented to us as game-used and in our opinion shows outstanding use.